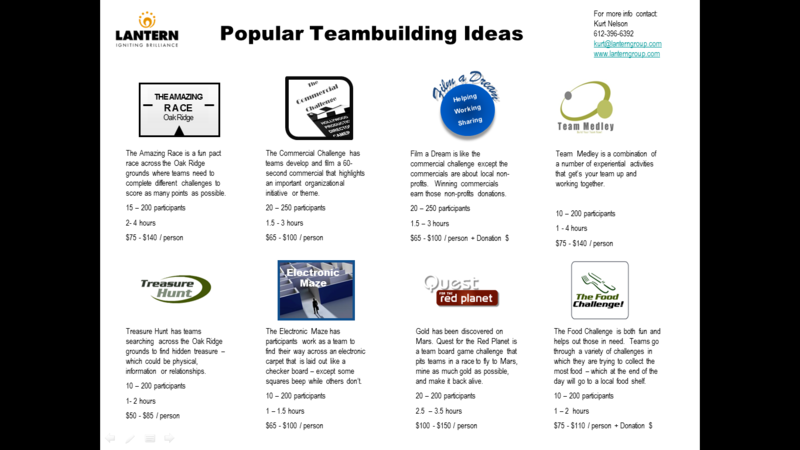 It has been almost a month since Event Camp Twin Cites 2011 (ECTC11) and I’ve had time to reflect on what I learned about creating team building sessions in a hybrid meeting environment. I wanted to share those insights with you. Back in late June, Ray Hanson asked me to help develop an interactive team / gaming experience for ECTC11. We wanted to push the envelope and go out on a limb in creating a hybrid meeting experience that was different than anything that had been done before – in other words, we wanted to create a customized hybrid team building program that was interwoven throughout the entire two-day event where both live and virtual participants were working together on the same team doing real team building challenges. To the best of our knowledge, this had not been done before. This isn’t team building – it is team gaming. Team gaming allows for individuals to participate and compete and even feel like they are part of a team but it doesn’t allow for a deeper, more sustained bonding and trust building that are necessary for team building. If you want to add some energy and fun for an hour into your event, team gaming challenges are great. If you want to help teams work better together and really get to know the people that they are on a team with, you need to do team building. As mentioned before, team gaming for events is not too daunting – as long as you are focusing on individual participation from both live and virtual participants. However, creating a custom team event for a hybrid audience presented some significant challenges. We needed to look at how people engaged in the event, how they communicated with each other, how learnings were going to be processed, and how teams would work together as a team and not just as individual participants. Each of the avenues provided teams with ways to earn points. Ultimately, we had decided that we wanted this event to be competitive to help keep teams engaged and attentive. The team with the most points won. This past summer I was conducting a team building program for a company that does some fantastic work helping other companies work more effectively. We conducted an event that had teams create sixty-second commercials that highlighted who they were, what value they brought and why somebody would use their services. We consciously give them a lot of information and very limited time to make their commercials. They had to do rush to get this done. We told them that they needed to work together, be creative, and focus on quality…we emphasized how the little details matter. As you will see, the little things really do matter. We took this as an opportunity to show how important the small details are. We created the following video that was shown to the entire team at the video showings. It was a fantastic teachable moment and one that was a highlight of the meeting. The group discussed how easy it is for things like this to happen and what needed to be done to make sure that these types of errors didn’t crop up. By the way, the team re-shot the commercial and it was fantastic along with the others…shows you how adversity can bring out the best in us sometimes…. We do a lot of work helping improve how teams operate. Some of it is straight old fun team building – you know the type where you go off-site for a day and do different types of games and activities (note – some people love these types of programs and others detest them with a passion). 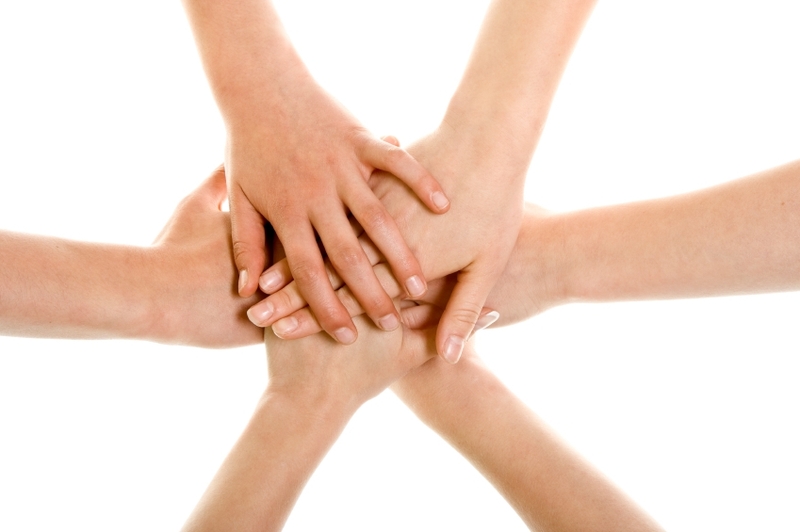 Other programs we do are much more intense and involve really working on specific team issues and developing action plans for greater collaboration, communication, or productivity. We’ve worked with big teams. We’ve worked with small teams. 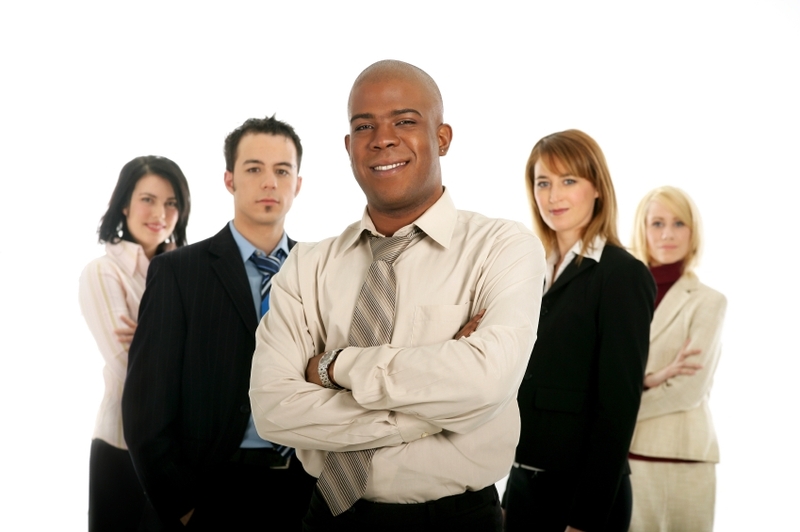 We’ve done programs for executives and for line-workers. We’ve worked with teams that are working well and just want to get to that next level and teams that really are on their last leg and need immediate urgent care or they will implode. We have done one hour fun sessions. We’ve created on-going programs that last months and require intensive work by the participants. Regardless of the type of team development we are doing – it is also part of building a more motivational organization. We had three very cute baby Raccoons in our yard last Thursday night. They were fearless, lost, adorable and wondering around lost without a mother. Kind of like employees without a good leader…but more on that later. We went out and watched them as the toddled around the yard and gardens. They were obviously hungry. The smallest one could not keep up with its siblings and kept cooing out to them (that’s the only way I could describe it, like a mix between a cat’s “meow” and and owl’s “who”). The siblings would circle back and rub noses with the smallest one. They would try to get it to climb the rock wall to the garden or move under the table. 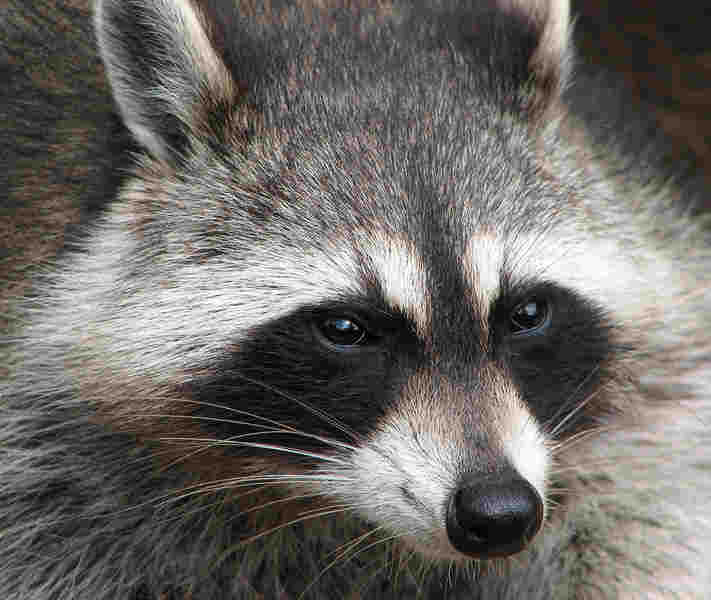 The smallest Raccoon would waddle slowly after them and try to keep up. But the siblings were hungry and cold themselves and soon enough – they left the smallest one by itself. The next morning, the smallest one was almost dead by the side of the garage. 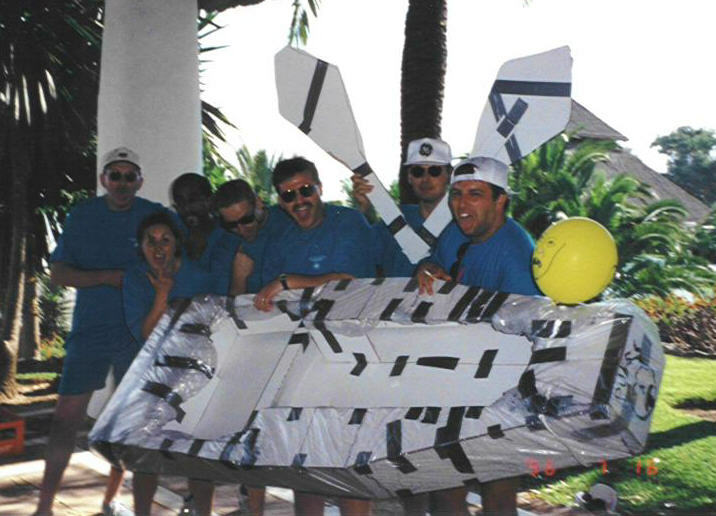 Over the past 18 years I have conducted a team building event called the Electronic Maze® with hundreds of companies and thousands of participants. Sometimes called the “Magic Carpet” the Electronic Maze is extraordinary, not because it is magic, but because of the team behaviors and emotional responses it elicits. Those behaviors and emotional responses are surprising similar across a wide variety of groups: senior managers, line workers, middle management, cohesive teams, strangers, international audiences, men, women, and every group that we’ve ever done this with. Those behaviors are also very insightful as to how we perceive the world, work with each other, and get things done.